I’m not a big coffee drinker, but I love pumpkin. The creamers that are on the market now say “Gluten Free”, and they may be. But when you do some research on them, there are still so many chemicals and preservatives…. well you get my point. This recipe is simple with real ingredients, REAL PUMPKIN, and I think it’s really good! Whisk all ingredients together, and store in air tight container and refrigerate. I keep mine in a pint jar. Shake well when ready to use. I use about 2 tablespoons per cup. You may want yours a little sweeter, just taste after you stir it in your coffee. 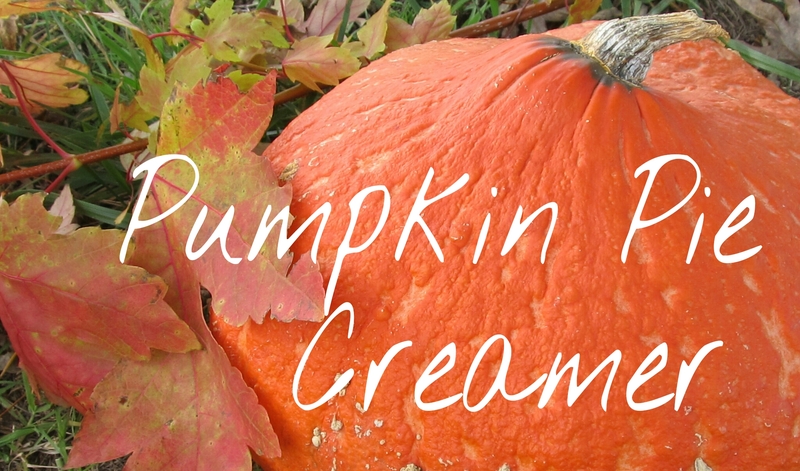 OH, be aware, if you like pumpkin this can be a little addicting! Tried the pumpkin creamer, it’s great! I’m so glad you tried it, and liked it! Thank you Michelle for letting me know. I love to hear from someone that has tried my recipes !